Gardaí are now investigating the collision which occurred this morning. A MAN IN his 40s has died after being struck by a car on the N27 Airport Road in Cork city in the early hours of the morning. Gardaí are now investigating the collision which occurred shortly after 5.30am this morning. The driver of the car was arrested and is currently in custody at Togher Garda Station under Section 4 of the Criminal Justice Act, 1984. The male pedestrian’s body has been taken to Cork University Hospital where a post-mortem will take place. 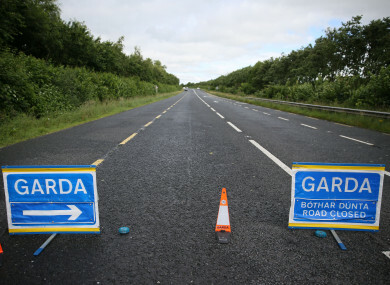 The N27 Airport Road is currently closed and diversions are in place so that garda forensic collision investigators can carry out an examination of the area. Email “Man (40s) dies after being struck by car in Cork city ”. Feedback on “Man (40s) dies after being struck by car in Cork city ”.